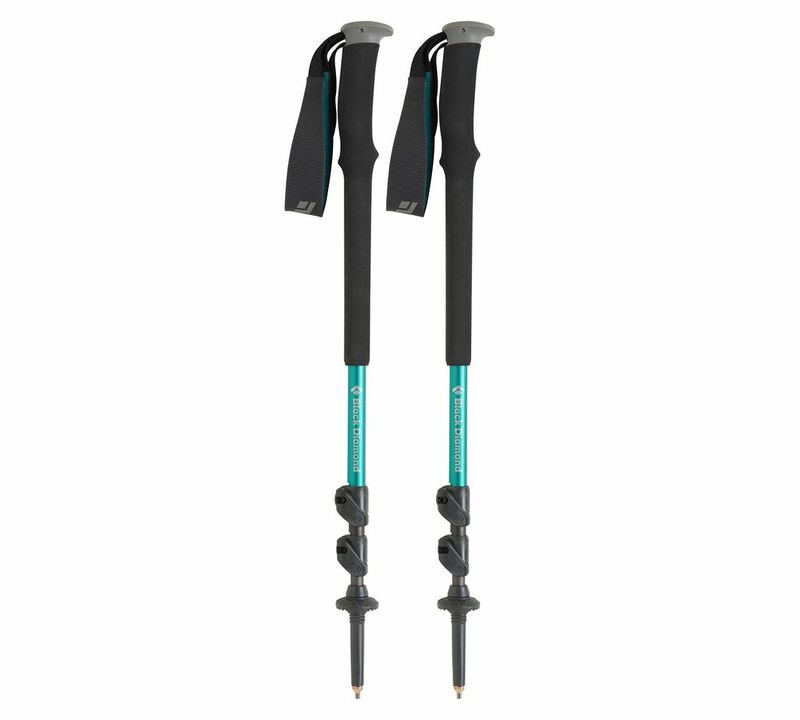 A women's-specific pole that's equally suited to casual weekend jaunts and extended backpacking trips, the Black Diamond Women's Trail Trekking Pole expertly balances comfort, features and affordability. The women's-specific size and grip and plush-lined padded strap account for the female form, while the dual FlickLocks provide total adjustability to suit the terrain at hand. The pole's interchangeable carbide Tech Tips can easily be swapped for our rubber Tech Tips (sold separately) to deal with variable trail surfaces.